Are Debit Card Miles an Endangered Frequent Flyer Perk? Earning OnePass miles for using a Continental debit card issued by Chase? Enjoy it while you can. “Congress recently enacted a new law known as the Durbin Amendment that significantly impacts debit cards. As a result of this law, Chase will be changing the Chase Continental Airlines Debit Card program. The Durbin Amendment, part of the Dodd-Frank Wall Street Reform and Consumer Protection Act, limits the swipe fees banks may charge customers for debit card transactions. When the amendment takes effect, on April 22, it will make debit cards less profitable for the banks, which in turn will make it uneconomical for them to market the cards with frequent flyer miles, a significant marketing expense for the cards’ issuers. But news of debit card miles’ death may be premature. The amendment has sparked a battle royal between small businesses—which are in favor of the legislation—and Fortune 500 companies—the banks, credit card issuers, and their supporters that have mounted a concerted effort to have the amendment repealed on constitutional grounds. Senator Durbin’s response to the Journal’s editorial is here. More to the point, legislatively, nine senators have introduced a bill that would delay the regulation’s effect date by two years, potentially derailing it indefinitely. It’s unclear to me what the net effect of the Durbin Amendment would be. While a reduction in debit card fees would seem to be a plus for consumers, the card issuers could simply charge more and higher fees for other services. For OnePass members, certainly, losing the ability to earn miles when using the Continental debit card is a definite negative. And that could be just the beginning. Among the other largest airlines, United has already discontinued its debit card (issued by Chase), but American (Citibank), Delta (SunTrust), and US Airways (Bank of America) still offer them. So there’s still plenty of potential disruption to come if other issuers follow Chase’s lead and strip their cards of their mileage-earning feature. For now, for airline debit card-holders, it’s wait-and-watch. And rack up your frequent flyer miles while you can. 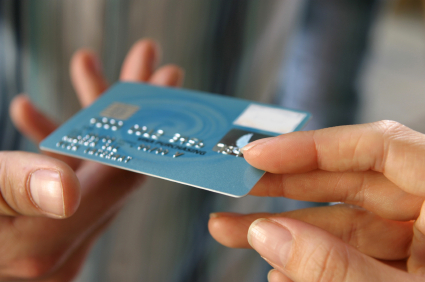 Do you earn miles with an airline-affiliated debit card? Any opinions on the Durbin Amendment?